Writing signature graffiti began in mid-to late 1960 s in Philadelphia and it exploded as a subculture in New York City in the 1970 s. Basically graffiti is writing or drawings that have been scribbled, scratched or sprayed on a wall or surface in a public place. We need to keep in mind that stickers and other adhesives are not considered graffiti. The history of these writings on walls has begun in Ancient Egypt, Ancient Greece and the Roman Empire. The term, graffiti, referred to the inscriptions, figure drawings found on the walls of ancient sepulchers or ruins, as in the Catacombs of Rome or at Pompeii. Graffiti writing is unique and beautiful in many ways because every artist is expressing in a different way and has its own style. This art movement begun and was supported by youth, it is a pictorial tradition because it`s reflecting people`s personal opinion in an illegal way and it changed cultures worldwide. 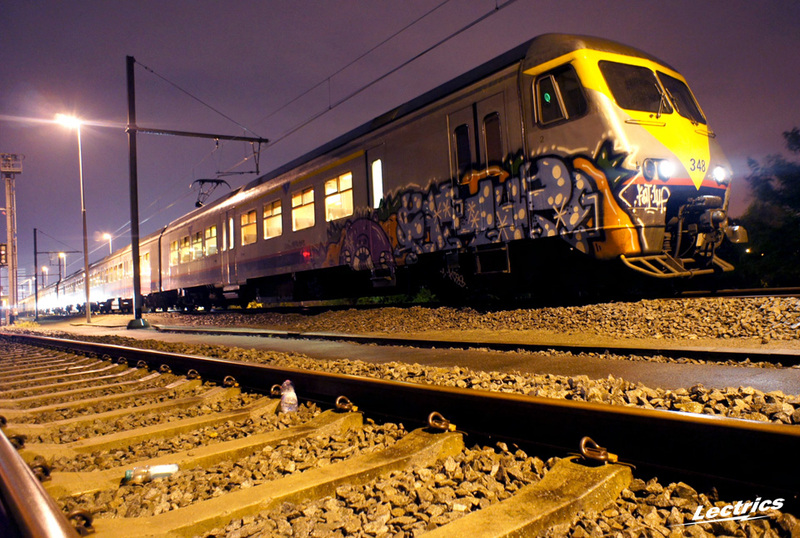 In the same time, post-graffiti art practices or the various forms of urban art have formed since the 1990 s and they are present to embody contemporary urban visual culture. It is amazing how a way of expressing like this one is uniting people in social groups and defining beliefs. 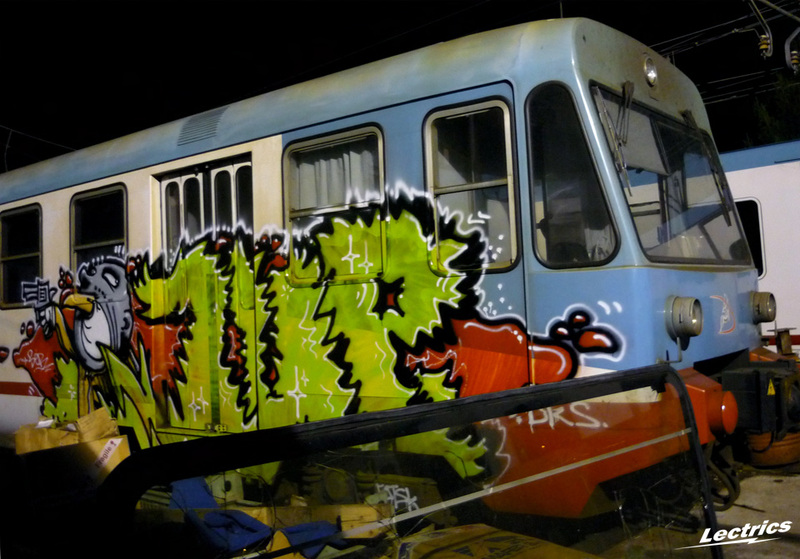 For example, One Up is a Berlin graffiti and street art crew that is very active in producing writings and drawings, also advertising their name on the walls of Berlin. This subculture “presents graffiti writers with a supportive, albeit competitive, social network complete with unwritten rules, hierarchies, alternative identities, friendship and the impetus to prove oneself on the graffiti scene”(Anna Waclawek, 2011, p.13). After tearing down the Berlin wall in 1989/90 two cities became one. By that time hip hop and graffiti already had existed in the western part of Berlin for a few years, and now graffiti took its first steps in the eastern part. The writers in the eastern part were of course influenced by the west, but they also innovated the style into something different. Today the two graffiti-scenes have become one huge Berlin-scene, where nobody cares where you are from, but there are still differences in style and mind of writers. Writing in the tube in Berlin, during the day takes loads of effort and planing an extraordinary plan and strategy to succeed. For instance the 1Up crew is organizing themselves in a group of 15 members. One of them is pulling the emergency alarm while being in the train and the others are waiting outside for the signal and they get on with the work, establishing a writing in less than 3 minutes, the exact time of police to get at the incident spot and the train to restart the route. 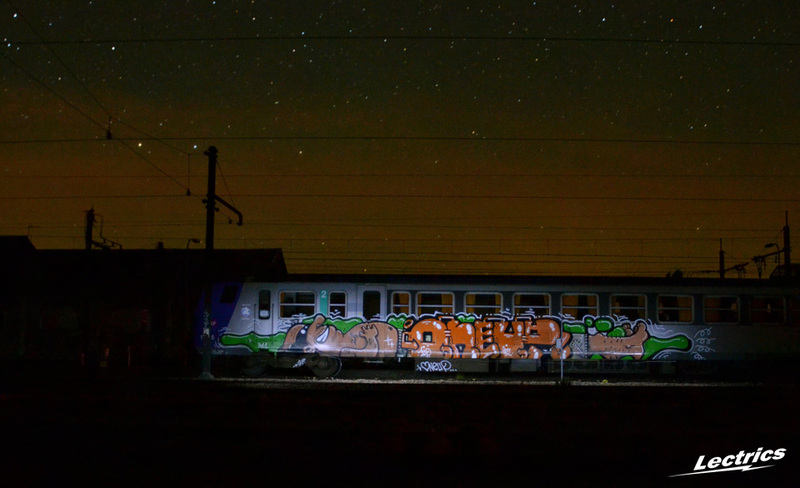 In an interview they were asked: “The 1UP are not only focus on rooftop or trains, tags or whatever. You seems to be present in every writing disciplines. Is there any specialists on each discipline or are you all versatile ?”. The answer was: “Train writing and metro addiction are kind of extremism, as this whole rooftop thing, and for us the goal of the game is to play in all categories, without falling too badly in any extremism… We are lovers, alta’ ! I am normally to blogging and i genuinely appreciate your content. The post has really peaks my interest. I am going to bookmark your web page and keep checking for new info. hello you have a great blog. I wanna say thanks for publishing this cool articles with us. Keep up this great job!